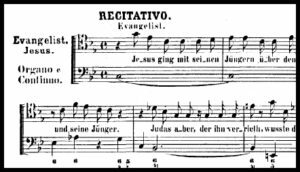 The First Lutheran Choir is a SATB choir (soprano-alto-tenor-bass) that rehearses on Wednesdays at 7:00pm in the choir loft from September to June. 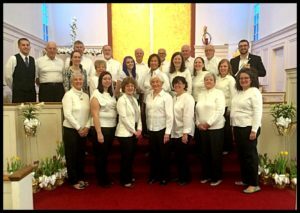 This volunteer choir provides music and leads the congregation in worship for the Sunday 9:00am traditional services and special holy day services. If you’re interested in joining simply contact our choir director Susan Lastowski at sue@QTandB.com, we’d be glad to have you sing with us! 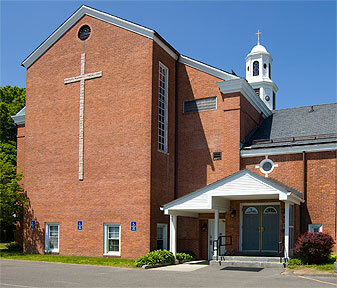 Vocal soloists and instrumentalists enjoy several opportunities throughout the year to share their talents including Easter, Ascension, Pentecost, Reformation and Christmas. Soloists are an important part along with the choir in First Lutheran’s worship services, and we are blessed with a number of talented soloists who are members and friends of the congregation.